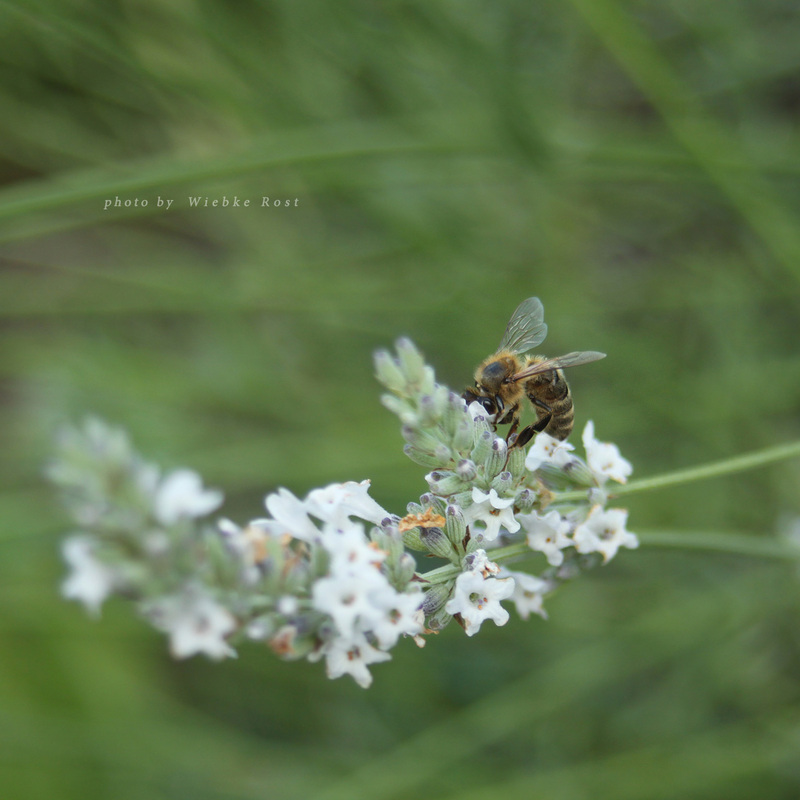 One of dozens of bees collecting nectar and pollen on our white lavender.  this was a lucky shot. My lens is not really for macro photography. But in this image all the details of the insect are clearly visible whereas the surrounding has a nice bokeh effect created through motion blur and use of depth of field. So here we go, another flower devil added to the photo series.